På svenska, tack Give the name of the time and date? If the camera clock happened to be dislocated when the pictures were taken, the error is consistently for all images. With EXIF ReGenerate you can set the time right again! The program works with Linux, Windows and MacOS X. The program is written in C + + and uses Qt4 graphic library. There is a setup program for Slackware GNU / Linux and Windows. Tested on Slackware 13.0, 3.1 and on 13.37 and 14.1 and on Windows XP and Windows 7. Many thanks to Ivan Dolgov for the Russian translation. Many thanks to geogeo (www.geogeo.gr) for the Greek translation. Here's how it looks when the program read your images. 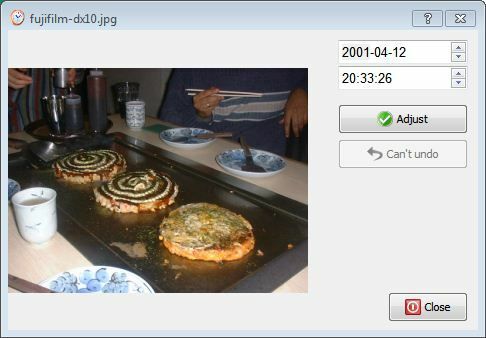 You can open more pictures, in different parts of your computer. You must know the correct date and time of one image. All other images will be adjusted by the same offset. You choose a picture where you know the right time and day. All other images adjusted right. Then click "Apply to all"
Nothing changed in the images before you press "Save". You can study in detail by selecting the size and enlarge the picture. C:\Users\*\.exifrg (Windows Vista and later versions). Each user gets their own settings. The program can check for updates. You must be connected to the Internet for it to work. Take a new picture (without setting the camera clock), noting when you take the picture and use that image to set the offset for all other images. Copyright 2007 - 2019 Ingemar Ceicer <programmering1 ( at ) ceicer (dot) org>. "Open File" dialogue works, unfortunately, not well with KDE4 (Linux). This is due to a known bug. Use XFCE or another desktop, then it works. In Windows version, you can install a new version directly, the installer will uninstall the old version before installing the new. 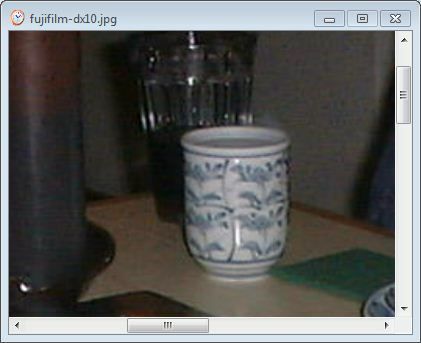 EXIF ReGenerate Translation Help needed! It is very easy for everyone to translate EXIF ReGenerate! You download the language files (English), and translate the string between <source> and </source>. Enter the translation between <translation> and </translation>. It becomes even easier if you use Qt Linguist, you will find a link to the program below. The program communicates in Greek. The program communicates in Russian.